Fairy tale cabin by Jacob Witzling. 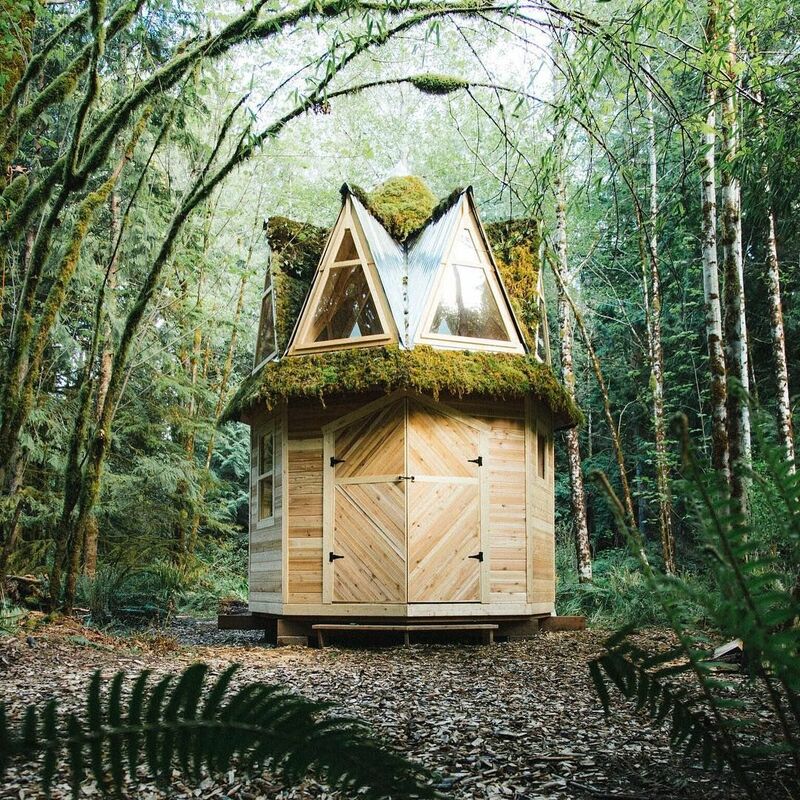 This tiny cabin looks like it came straight out of a fairy tale. 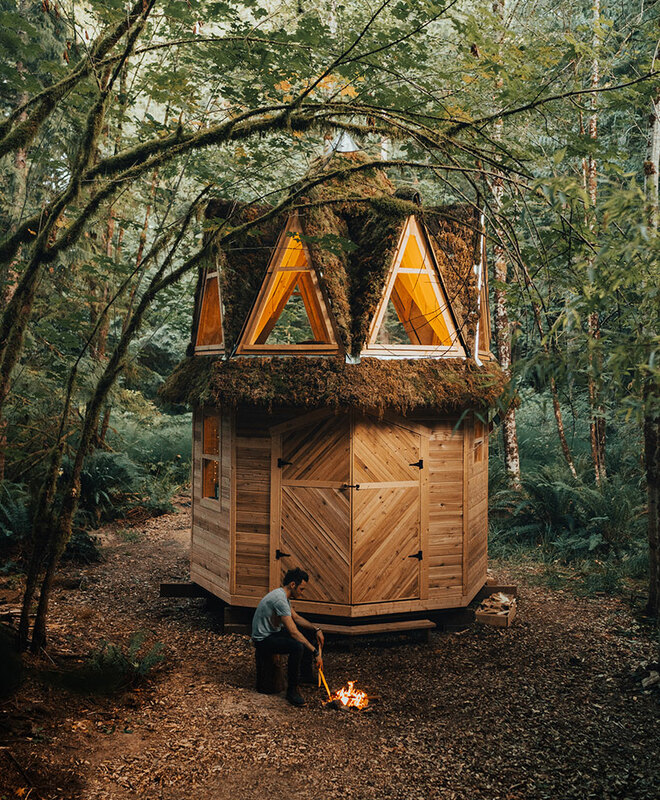 Designed by Jacob Witzling, who’s always had an inclination for the outdoors and a weakness for woodland homes. 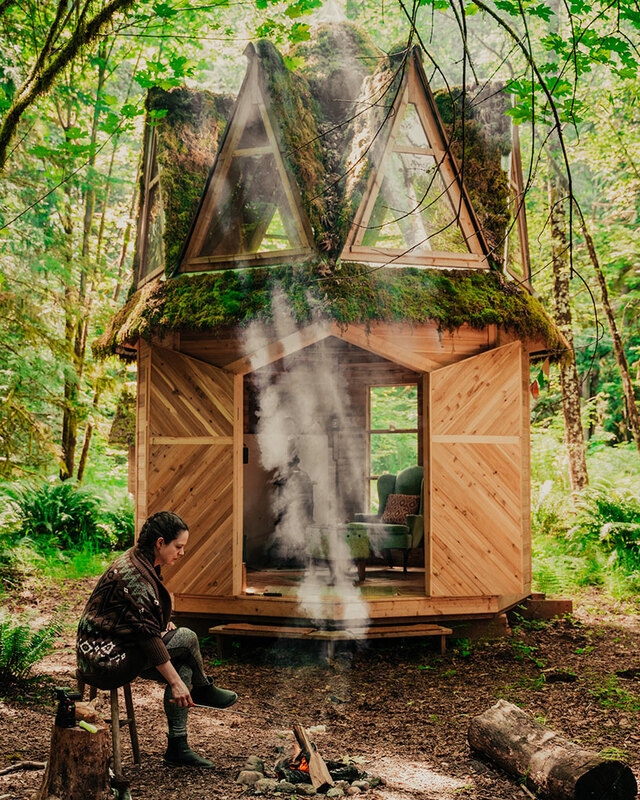 Witzling has designed many amazing tiny dwellings all over the northwest and east of the United States and this cabin in the woods is no exception of his beautiful creations. His passion for cabins began when he was 16, when he lived in one for the last two years of his high school experience in New Hampshire. The architectural expertise of his father also left an impression on Jacob and, as a child, he was often found poring over the pages of his dad’s favorite book, Handmade Houses: A Guide to the Woodbutcher’s Art. 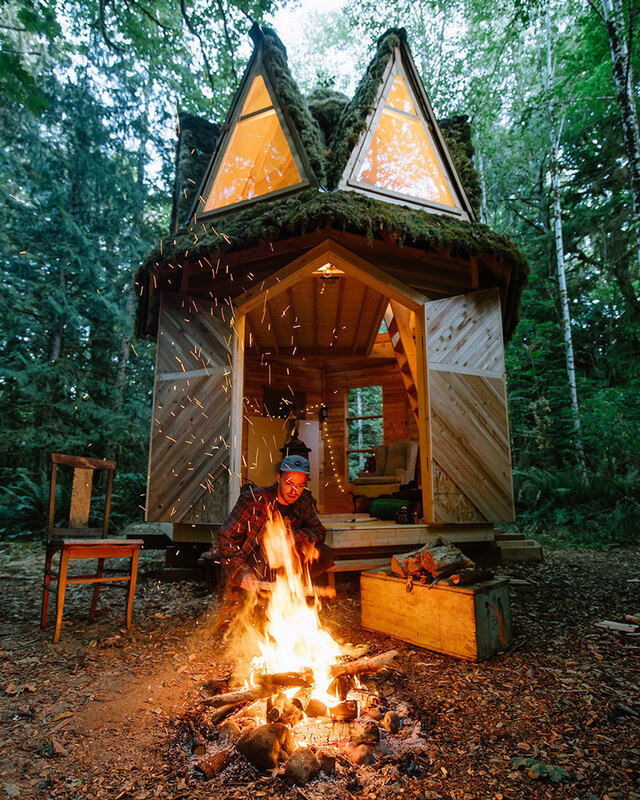 Several years later, Jacob built his first cabin, which only cost him $800, mainly created of recycled materials and leftovers from the surrounding area. Today, it’s still Jacob’s goal to utilize as much used materials as possible to construct his cabins. 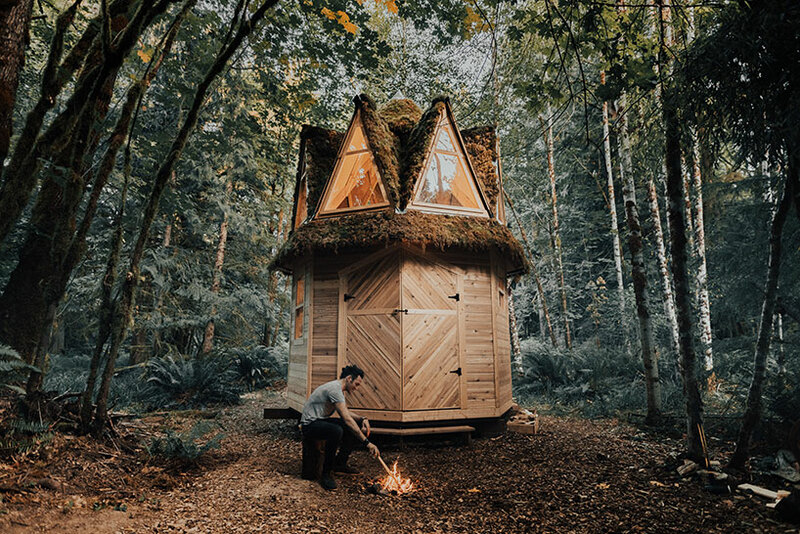 He also lets the natural elements from the surroundings flow into his work; for example, he uses moss to cover the roof of his cabins, which requires no upkeep and lets the cabins merge even more into the native area and unique flora of the Pacific Northwest. 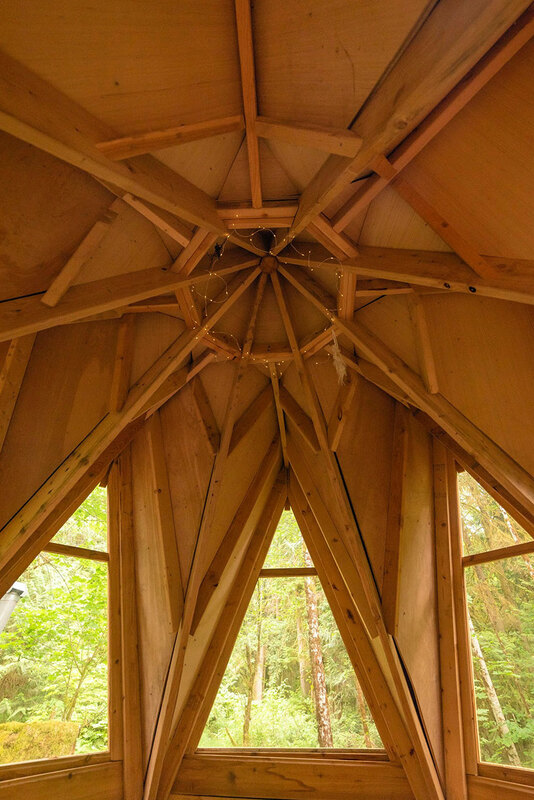 One of Witzling’s most creative projects is this whimsical structure in the woods. 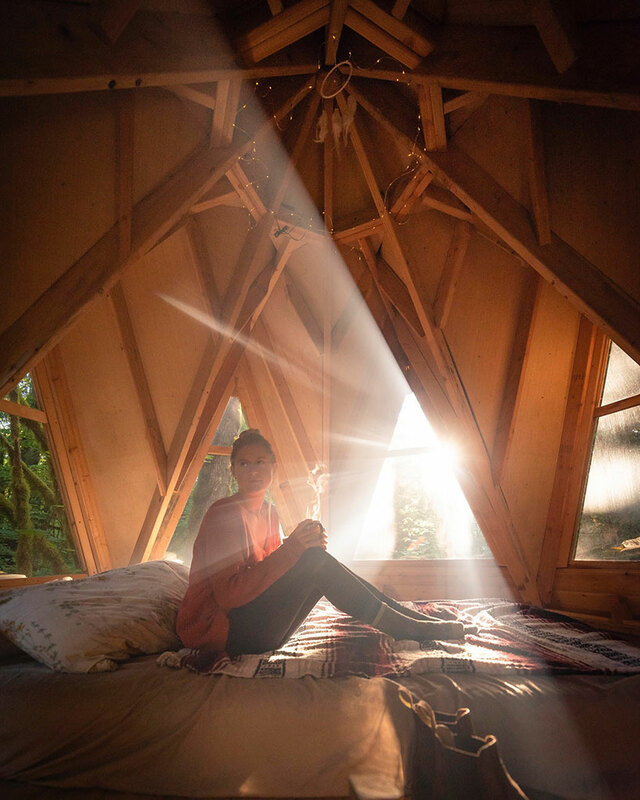 It was built on a 135 square foot octagonal base, the small-scale abode accommodates a loft space that adds an additional 80 square feet of occupiable space. Each plane that forms its octagonal pyramid roof has a ridge that protrudes — there are 8, 72 tall dormersinches that run directly into the valleys. 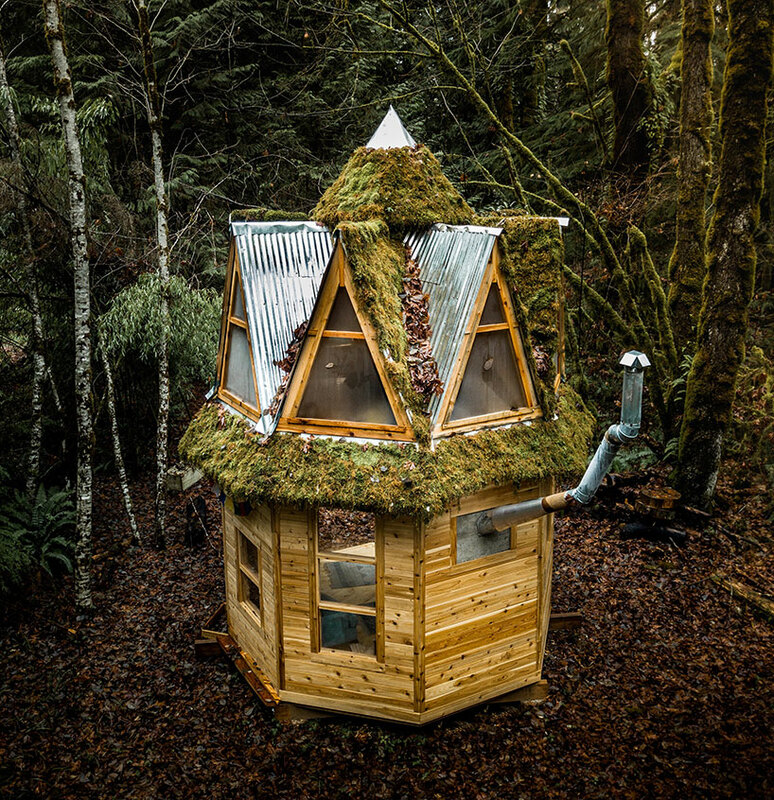 The roof was then covered in metal, chicken wire and finally moss, which allows the structure to subtly blend into its surrounding environment. It also has large triangular windows that filters in a lot of natural lighting. 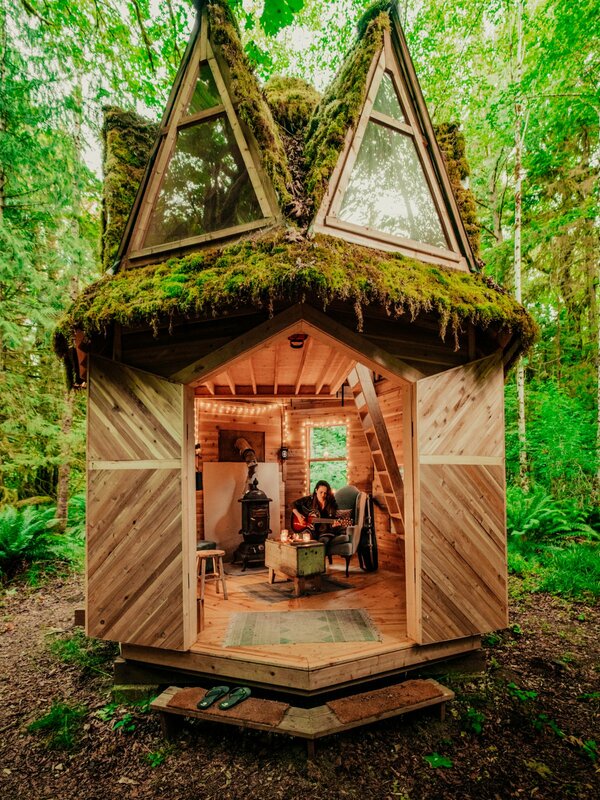 This storybook cabin is perfect for getting cozy and relaxing. 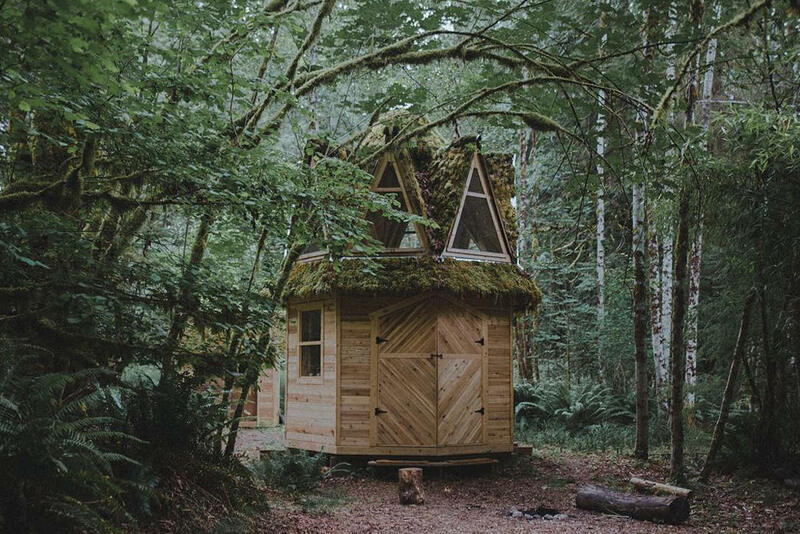 Anyone can sit back and just enjoy the simplicity of tiny living in the beautiful scenario. Previous articleDark Interior: A Modern Lifestyle!